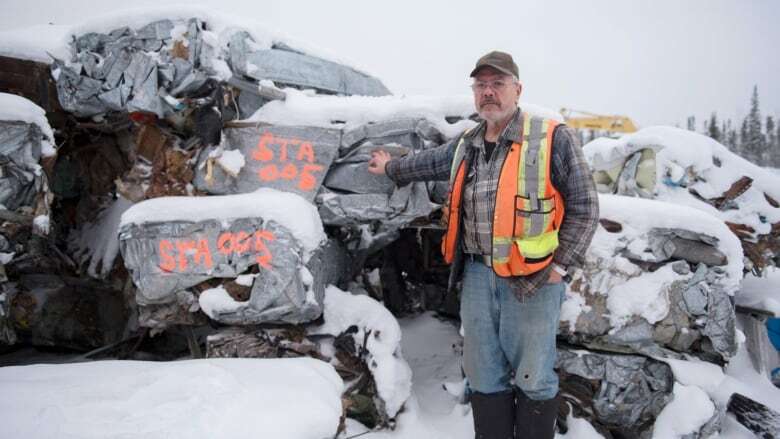 The dump in Enterprise, N.W.T., is saying goodbye to more than 300 tonnes of scrap metal in an effort to return the waste disposal site to a pristine state. A small community in the Northwest Territories is taking big steps to clean up its landfill. Enterprise, population 100, has spent $60,000 over the last three years clearing and levelling the hamlet's dump. About a third of the money was spent on a contract to separate, crush and bale more than 300 tonnes of scrap metal dating back 25 years. Compacting started in the summer. The first of eight large truckloads of scrap metal headed to Alberta this week. Northern dumps are full of rusty, oily scrap metal that can pollute rivers and streams, contaminate wildlife and contribute to greenhouse gas emissions. "We had permission to bury it but we chose to take it off site. We are true northerners and we want to keep the environment clean," said Alan Kimble, the hamlet's public works foreman. Once down South, scrap metal recyclers will melt the steel and aluminum into appliances and building material, Kimble said. Between now and the spring, hamlet crews will continue clearing the site and adding new signs. "We will have a clean slate here, a proper and beautiful looking dump. It's going to look like a park when we are done," Kimble said. Once a free-for-all, the Enterprise dump is only open two days a week to the public. Automobiles, fuel tanks, barrels and appliances are allowed to be dumped, but must be separated and placed in designated areas — depending on whether it is residential, commercial or industrial waste. Not only did the hamlet want to clean things up, they had to. In 2016, the landfill was such a mess that the Mackenzie Valley Land and Water Board, which issues water licences, cited the hamlet for non-compliance. The hamlet faced a range of penalties. 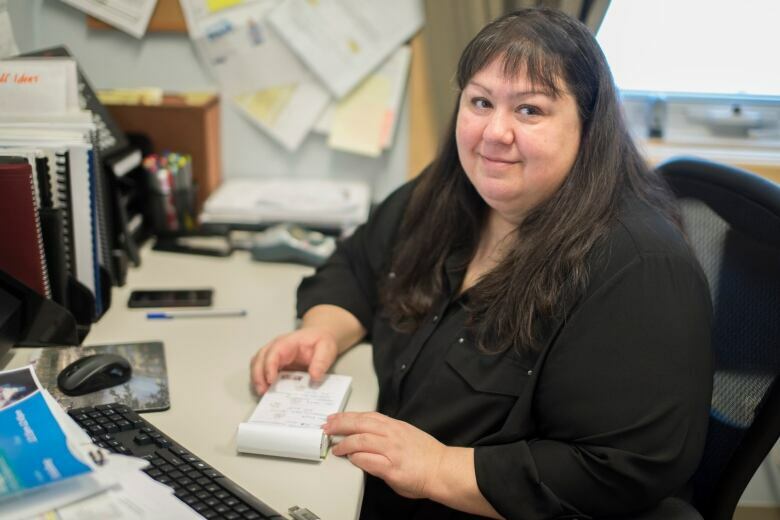 That the same year, Tammy Neal took over as senior administrative officer for Enterprise. Since then, Neal said the mayor and council have made the dump a priority. "We've come a long way in the last three years with the help of [the N.W.T. 's departments of Municipal and Community Affairs, and Environment and Natural Resources] and the Mackenzie Valley Water Board," said Neal. Meanwhile, Enterprise is not alone in its effort to reduce the amount of metal in its landfill. Road-connected communities such as Yellowknife, Behchoko, Fort Providence, Hay River, Fort Smith and Jean Marie River have also removed scrap metal from landfills and trucked the loads south in the last couple of years. Ulukhaktok is also doing it too, but by barge, said Grace Lau-a, director of community operations with Municipal and Community Affairs. "We are very encouraged to see small communities like Enterprise and Ulukhaktok recycling scrap metal," said Lau-a, whose department co-manages landfills in the territory. "This extends the lifespan of the landfill and decreases the risks the landfill poses on the environment."